The mission of Temple Beth El is to provide a house of Conservative Jewish worship which fosters spiritual fulfillment, Jewish theology, life-long Jewish education, and community support throughout the cycles of the seasons. 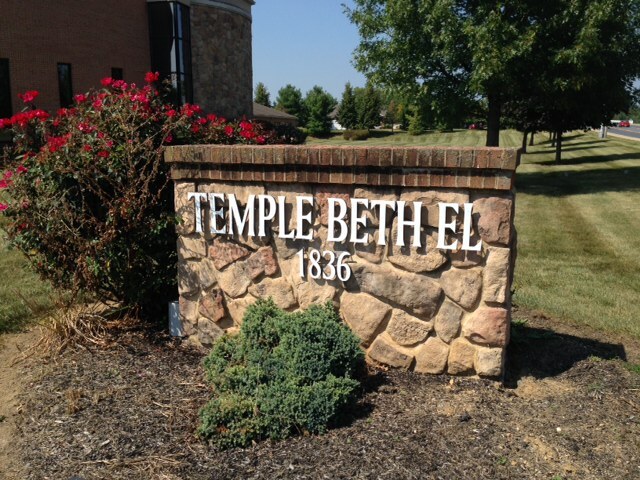 Temple Beth El is a member congregation of the United Synagogue of Conservative Judaism (USCJ), observing Traditional Judaism within the framework of modern living. Through religious services, religious school and adult education, the congregation strives to develop a sense of family and community among members and to encourage growth and understanding of Jewish identity. Temple Beth El is the youngest of Lancaster’s three Jewish congregations. The Temple originated as an offshoot of Lancaster’s orthodox congregation. With the support of nearly 50 local families, a downtown mansion was purchased in 1945 to house the newly formed Conservative Jewish congregation. The Temple remained at 25 North Lime Street for 57 years until the congregation moved to its present home in April 2002. While in Lancaster City, Temple Beth El was a vibrant member of the community and participated for decades in “Town Fair” each autumn. Our members have always been active in Lancaster’s Jewish communal organizations reflecting the central value of Conservative Judaism, “Klal Israel,” our responsibility to the Jewish world.